Dual Pixel Technology Coming to Canon EOS-5D Mk III? Canon launched their EOS-70D camera in August 2013 and received rave reviews, especially on the ground breaking feature, known as the Dual Pixel CMOS AF technology. Earlier this week, Canon announced this new technology will be available on the EOS Cinema C100 and C300 cameras as a Firmware upgrade. As usual, Canon is releasing their newest technology on their lower level cameras, only to migrate to more expensive models at a later time. 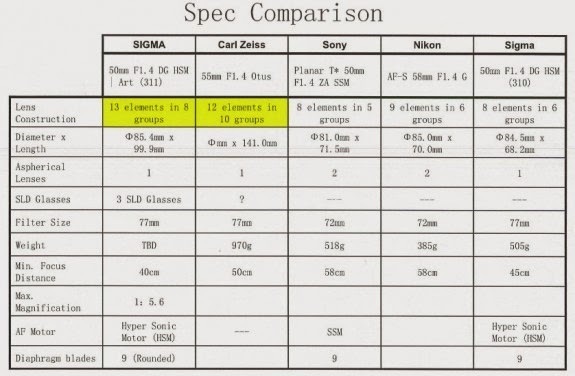 Case in point would be the DIGIC 6 processor and STM lenses, all came out on lower end gear first. 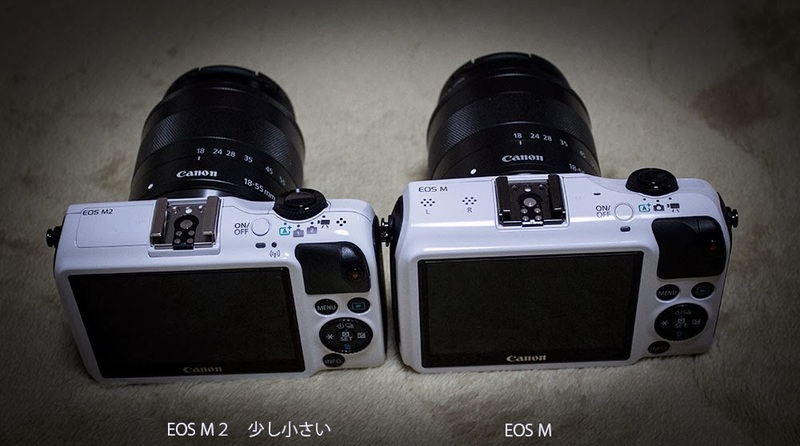 Canon announced the EOS-M2 in China and Japan on December 3, 2013. In my earlier post in January, I expected Canon to import the EOS-M2 into North America and Europe some time in the future. The challenge is inventory of the current EOS-M model has already built up and until Canon draws down the current stock, they will be reluctant to bring more cameras in. Now Canon Japan executive, Mr. Go Tokura, in a recent interview, reiterated the company's eventual plans to introduce the EOS-M2 outside of Asia and add additional lenses to the lineup. 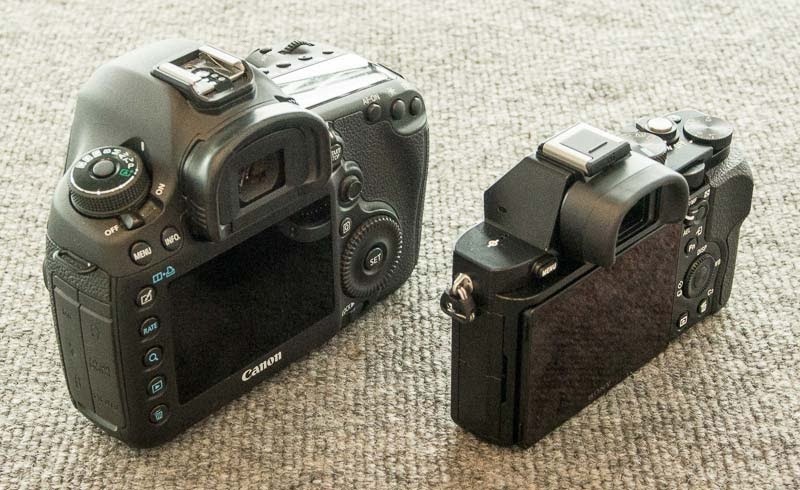 Currently, there are only 2 lenses available in the U.S. for the EOS-M camera. For those who want to buy the EOS-M2 now, check out my earlier post on where to get one. 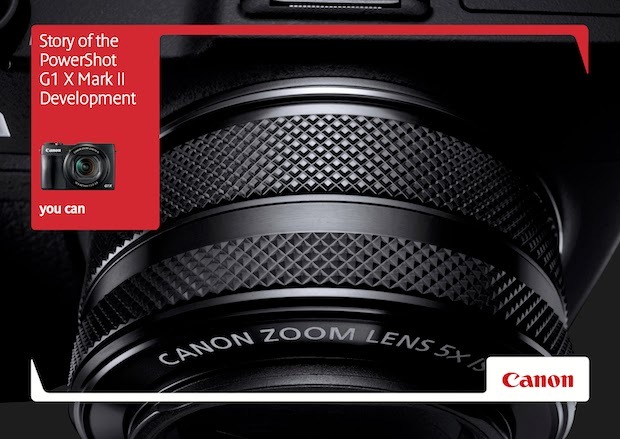 Canon EOS-7D Mk II camera launching in Q2, 2014? Nikon announced their top-of-the-line D4s camera this week, to a some what underwhelmed response. Canon will be introducing a couple of Pixma Pro printers next month. There is a chance they may bring forward the release date of the EOS-7D Mk II to March, but most probably it will be the second quarter of 2014, with delivery starting late Q2 or early Q3. 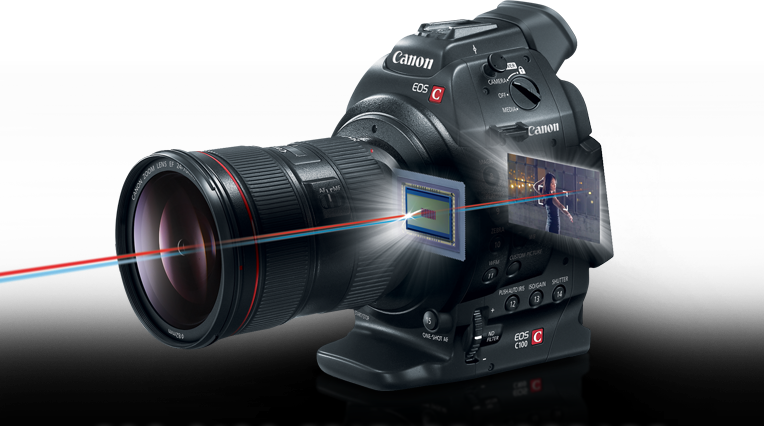 The current EOS-7D has the most advanced AF system of all the Canon APS-C bodies. The Achilles heel of the camera is its mediocre high ISO performance. 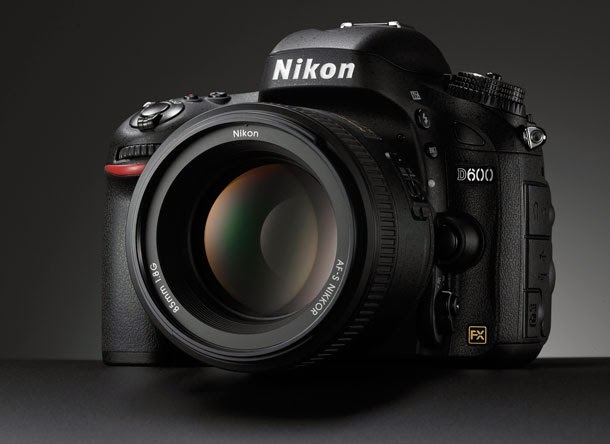 Nikon has issued a service advisory for the D600 and will fix all cameras with sensor dust/oil problems, free of charge, regardless of warranty status. This announcement came about apparently as a result of a class action lawsuit threat. This sensor dust/oil problem has been going on for a while and some frustrated owners have been sending their cameras in multiple times for cleaning, but apparently to no avail. Nikon has indicated they will pick up the shipping charges, plus clean the sensor and replace the shutter assembly, if applicable, as quickly as they can. Translation, it will be a LONG wait if all the owners of the D600 decide to send their cameras in for repair. Now available from Canon is a feature upgrade for the EOS C100 Digital Video Camera that will offer an autofocus mode to help ensure sharp focus and smooth focus transitions. The upgrade provides a new Continuous AF (Autofocus) Function for all Canon EF autofocus Lenses, using Dual Pixel CMOS AF technology. A new AF Lock setting also lets you change the image framing while holding the desired focus. These critical focusing capabilities are designed to help reduce out of focus video while providing for smooth focus transitions and assist users when operating with small crews. Learn more about the EOS C100 Feature Upgrade by visiting the dedicated webpage on the Canon USA website. Canon USA will perform Feature Upgrade on the EOS C100 at a cost of $500*, and will require that the EOS C100 cameras be sent to an official Canon Service Center. Please contact the Canon Customer Support Center for details. The U.S. National Park Services and Gigapan embarked on a photography project to take the viewers through a span of about eight decades, comparing some of America’s best-known landscapes and showing their changes through the years. Glacier and Yellowstone National Parks photos from the 1930 to late 2000s were used, then overlaid on current images to highlight the changes over about 80 years. The old photos were originally taken to create maps for fire lookout points inside the National Parks. The project grew in size and Lester Moe was the photographer who made most of the old panorama images. The Park Service strived to take the modern day photos using the same or very similar locations but some of the original lookout towers are no longer in existence. Visit the Park Service website for more info. 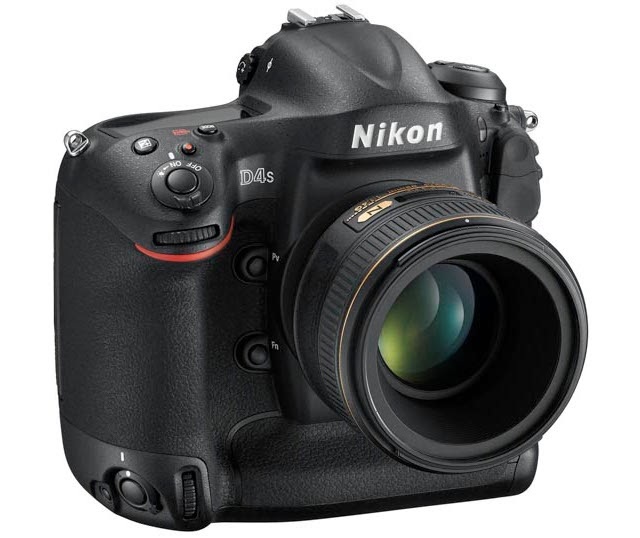 TOKYO - Nikon Corporation is pleased to announce the release of the D4S, its latest flagship FX-format digital SLR camera. Based on the D4, the D4S responds more completely to the demands of professional photographers with revisions to a number of features and functions, including AF performance, image quality, workflow and operation, and movie recording, adopted after running a variety of simulations of the functions required by professional photographers who sometimes find themselves working under quite severe conditions. Algorithms used by the AF system have been refined for greater accuracy and versatility demanded by professional photographers. Autofocus is initiated faster and is better able to acquire and track the intended subject, whether it enters the frame suddenly or takes up the entire frame for a more powerful composition. In addition to the four time-tested modes available with the D4 (Single-point AF, Dynamic-area AF, 3D-tracking, and Auto-area AF), the D4S offers a fifth AF-area mode known as Group-area AF (uses 5 focus points: one specified by the user, as well as one each above, below, to the left, and to the right of the selected focus point). This mode enables not only smoother autofocusing, but also a faster workflow with continuous shooting at approximately 11 fps* with AF and AE tracking. The new EXPEED 4 image-processing engine, a new Nikon FX-format CMOS image sensor, and an effective pixel count of 16.2-million pixels enable capture of images that exhibit stunning sharpness, enhanced depth, and natural skin tones. A range of standard sensitivities from ISO 100 to ISO 25600 achieves images exhibiting sharper edges and smoother, more beautiful colors. The D4S also supports extended sensitivities as low as the equivalent of ISO 50 and as high as the equivalent of ISO 409600. What's more, the accuracy of auto white balance has been increased for clear color reproduction, even with shooting under difficult artificial lighting. A number of other improvements have been adopted without compromise in consideration of the advanced demands of professional photographers. Among these are improved viewfinder visibility with a more stable viewfinder image during continuous shooting and a shorter viewfinder blackout time, as well as smoother operation with less stress from a redesigned grip and refined layout of operational buttons and controls. Communication speed has also been increased with 1000BASE-T support for wired LAN communication, making extremely fast image transfer possible. A RAW S Small (12-bit uncompressed RAW) setting has also been added for faster post-capture editing on a computer. Nikon's flagship D4 camera, released in February 2012, expanded possibilities for photographic expression for professional photographers primarily in the fields of sports, press, and nature photography. The D4 offered a number of features that not only responded to the demands of professional photographers, but also enabled capture of images of decisive moments that moved those who saw the images. Among these were excellent performance over a broad range of sensitivities for superior image quality under difficult lighting conditions, fast and accurate AF capable of capturing the intended subject, the Advanced Scene Recognition System, which provided more advanced automatic control that allowed photographers to concentrate more fully on shooting itself, and support for the superior rendering characteristics of NIKKOR lenses developed with optical technologies only Nikon can offer. Moreover, the D4 also contributed to cultivating new possibilities for imaging expression with the ability to express shallow depths of field and maximize the characteristics of excellent performance at high sensitivities with movie recording. Developed as the next-generation flagship successor to the D4, D4S functions, features, and performance were thoroughly examined and analyzed from a variety of angles, resulting in a digital SLR camera that responds more completely to the demands of professional photographers. With this background, the D4S was developed to embody Nikon's response to the demands of professional photographers, upon which we place great importance, with functions and performance that support shooting in even the most difficult environments, and are able to respond to a variety of subjects and situations, as well as various lighting conditions. High-performance AF that more accurately acquires and tracks the intended subject, even under extreme conditions. Reflection of ideas from professional photographers and repeated simulation of various advanced techniques they often use has resulted in the very precise subject acquisition and tracking performance that these photographers require, and upon which they can rely, under the most extreme conditions. Very precise adjustment of AF algorithms based on the Advanced Multi-CAM 3500FX autofocus sensor module enables certain acquisition of even erratically moving subjects and those exhibiting little in the way of contrast. D4S autofocus performs even better, keeping the acquired subject in focus, even when it is coming closer, or moving away, at high speed. What's more, the D4S offers better balanced AF control with more precise focusing on the intended subject, and more accurate tracking of that subject, even when photographing team sports, such as soccer and rugby, when action may temporarily obstruct the intended subject. In addition, an AF-area mode can be assigned to the AF activation button on super-telephoto NIKKOR lenses. When this is done, the specified AF-area mode is enabled while the AF activation button is held down. This enables strategic switching between the AF-area mode selected with the camera and a different AF-area mode assigned to the AF activation button, allowing users to switch back and forth between vital modes instantly, without ever taking their eye off the subject, when photographing a variety of scenes that change drastically. This allows users to better maximize AF performance between bursts of high-speed continuous shooting at approximately 11 fps* with AF and AE tracking. The D4S is equipped with 51 focus points capable of acquiring the intended subject throughout the frame. 15 cross-type focus points at the center of the frame use phase-detection AF to detect the subject horizontally and vertically, and as all 51 focus points support a maximum aperture of f/5.6, the performance of line sensors and cross-type sensors is fully utilized with all AF NIKKOR lenses. In addition, the 15 focus points (9 at the center of the frame, and three each to the left and right of these 9)*1 support maximum apertures faster than f/8, and 11 focus points (9 running horizontally at the center of the frame and 1 each above and below)*2 support maximum apertures of f/8. This results in stress-free focusing, even when using 1.4x or 1.7x teleconverters, and certain autofocusing capability when a 2.0x teleconverter is used with super-telephoto NIKKOR lenses for a combined maximum aperture of f/8. *19 focus points at the center of the frame function as cross-type sensors; the remaining 6 focus points function as line sensors. *21 focus point at the center of the frame functions as a cross-type sensor; the remaining 10 focus points function as line sensors. Press photographers working on-site demand not only certain capture of decisive moments, but also the ability to quickly transmit their photos as soon as they are taken. Understanding this need, the D4S captures JPEG images with stunning sharpness, enhanced depth, and natural skin tones that allows use of these images straight out of the camera. Less noise with shooting at high sensitivities and a range of standard sensitivities from ISO 100 to ISO 25600 enables images exhibiting sharper edges and smoother, more beautiful colors throughout the entire range (sensitivity can also be reduced to the equivalent of ISO 50 (Lo 1), or increased up to the equivalent of ISO 409600 (Hi 4) as shooting conditions demand). 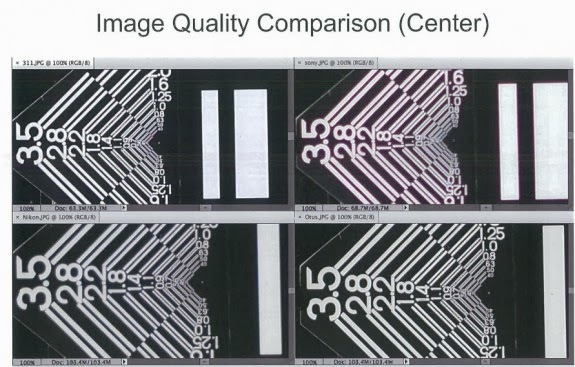 Images captured with the D4S also exhibit little significant loss in resolution, even when cropped for use in newspapers, magazines, or online. An effective pixel count of 16.2-million pixels, and the new EXPEED 4 image-processing engine and Nikon FX-format CMOS sensor, both developed by Nikon with meticulous research and repeated simulations, contribute greatly to these capabilities. A new RAW S Small option that records images using 1/4 the number of pixels used for full-sized RAW images has been added. 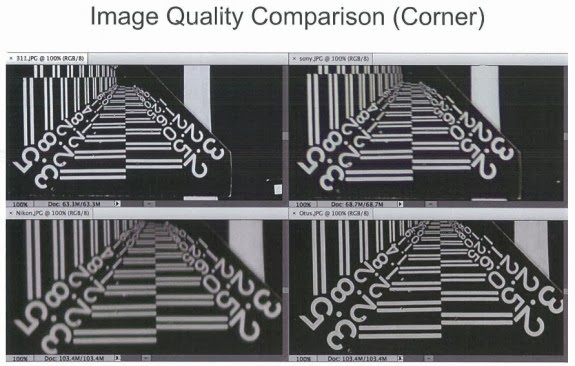 This makes editing images on a computer after they have been taken faster and more convenient (file size is approximately 1/2 that of 12-bit uncompressed RAW L Large images). *Editing functions built into the camera and available from the Retouch menu, such as NEF (RAW) Processing and Image Overlay, cannot be applied to images captured at this setting. The D4S is equipped with a 3.2-inch, approximately 921k-dot wide viewing angle TFT LCD monitor with which the protective glass and LCD panel have been integrated to suppress internal reflections. Display characteristics have been carefully adjusted for more faithful color reproduction. In addition, the camera is equipped with a function that allows users to customize colors to suit their individual preferences. Movies recorded at a frame rate of 60p exhibit smooth subject movement and changes in exposure, even when the brightness of the scene changes greatly. Noise is effectively suppressed throughout the full range of standard sensitivities (ISO 200-25600) for rich expression of tones and stunning sharpness that preserves details. The D4S offers selection from three image area* options that respond to imaging intent—FX-based movie format, DX-based movie format, and 1920 x 1080 crop. With recording at a setting of 1920 x 1080 crop, 1920 x 1080p full-HD movies are generated without resizing for stunningly sharp movies rich in detail. The video below asks, "What is your perfect day and when was the last time you had it?" Nothing too inspirational or philosophical a question and probably many of us have similar thoughts in our heads once in a while. But it pays to stop and reflect on our lives and existence, now and then. Wedding photographer Jerry Ghionis, gave a presentation at WPPI 2013 show, and asked how many of us are chasing our dreams and paid the ultimate price, without perhaps realizing the dream or even being able to afford the price? To me, it is how one lives one's life and dreams that defines who we are and family and friends become a big part of our existence, regardless of profession and family status. 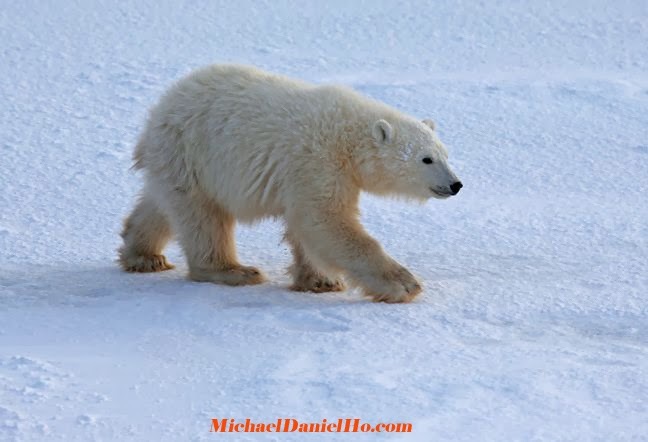 I have been a travel and wildlife photographer for 25 years but this is my second life. My earlier life was as a banker with Corporate America until one day I asked myself, "isn't there something else you'd rather do for the remainder of your life?" According to the Japanese blog, Nikkan Kogyo's article, Canon may exit the market for low-priced, point-n-shoot cameras priced below $200. The low end of the camera market is getting very crowded and competitive. Smart phones are getting smarter and the cameras on them, better with every new model introduced. MELVILLE, N.Y., February 24, 2014 – Canon U.S.A., Inc., a leader in digital imaging solutions, has announced a variety of performance updates for cameras in its Cinema EOS and XF professional camcorder line. Announced today is a new optional feature upgrade for the EOS C300 Cinema camera which will support Canon’s innovative Dual Pixel CMOS autofocus (AF) technology and enable continuous autofocusing with the entire line of Canon EF lenses and optimized for Canon’s stepping motor (STM) line of lenses when used with the EOS C300 camera. 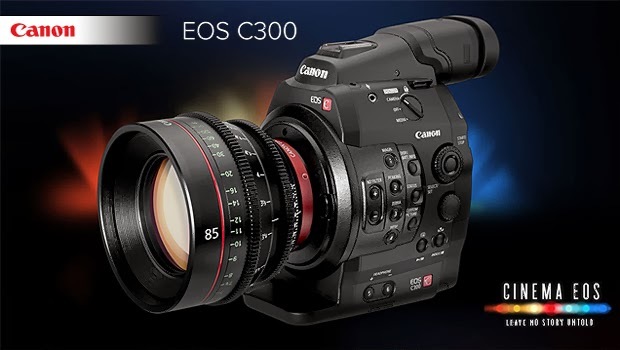 This optional feature upgrade is expected to be available in May 2014 for a cost of $500.00 and will require the EOS C300 camera body to be shipped to an authorized Canon service center for installation. In addition to the optional feature upgrade for the EOS C300 camera, Canon has also announced the new RC-V100 remote control for Cinema EOS cameras and the XF Series professional HD camcorders; a firmware update that allows for Peripheral Illumination Correction when using the Canon CN-E35mm T1.5 L F Cinema prime lens or the EF-S 55-250mm f/4-5.6 IS STM telephoto zoom lens with the EOS C500, EOS C300, or EOS C100 cameras and a Continuous Recording function for the EOS C100 Digital Video Camera to help ensure capture of crucial shots in unpredictable situations, such as wedding/event videography, documentary, news, or wildlife production. The optional Dual Pixel CMOS AF feature upgrade for the EOS C300 Cinema camera supports continuous AF with all compatible Canon EF series lenses when shooting subjects positioned in the center of the imaging area. The technology involves complementary use of a contrast signal to achieve advanced autofocus stability that helps reduce the occurrence of loss of focus on a subject. Also included is an AF Lock which allows users to lock a focus point once AF is achieved and recompose the shot. Canon Dual Pixel CMOS AF also nearly doubles the speed of the EOS C300 Cinema camera’s One-Shot AF function, which enables a DP to focus on a subject located at the center of the screen with the push of a button, a feature that is currently supported on 104 Canon EF lens modelsi. The Dual Pixel CMOS AF feature upgrade for the EOS C300 Cinema camera will be made available to users through an authorized Canon service center. For more information please visit the Canon U.S.A. website athttp://pro.usa.canon.com/EOSC300FeatureUpgrade. The Canon RC-V100 Remote Control is designed to respond to a diverse array of production needs requiring remote camera operation. The RC-V100 Remote Control enables users to remotely control main camera functions and is compatible with the XF Series professional HD camcorders and Canon’s Cinema EOS C500, Cinema EOS C300 and Cinema EOS C100 cameras. It allows users to remotely control a wide variety of functions built into the cameras, as well as adjust and set various controls, such as exposure and white balance. The RC-V100 Remote Control is expected to be available in June 2014 at a suggested retail price of $2,999. This firmware performance update adds two additional Canon lenses to the list of lens models that maintain even illumination across an image plane, and virtually eliminates vignetting when used in combination with the EOS C500 and EOS C300 Cinema cameras, and the EOS C100 Digital Video Camera. This latest update adds the CN-E35mm T1.5 L F Cinema prime lens and the EF-S 55-250mm f/4-5.6 IS STM telephoto zoom lens to the seven other Canon CN-E Series Cinema Lenses that share this performance advantage, including the CN-E15.5-47mm and CN-E30-105mm T2.8 L S compact Cinema zooms, and the 14mm, 24mm, 50mm, 85mm, and 135mm Canon CN-E Cinema prime lenses. Fourteen other Canon EF-Series photographic lenses also deliver Peripheral Illumination Correction in combination with these cameras. 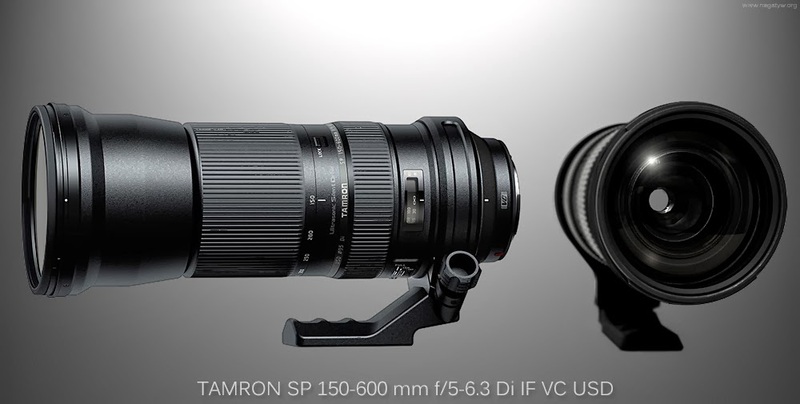 The EF-S 55-250mm f/4-5.6 IS STM telephoto zoom lens offers high magnification in a compact and lightweight telephoto zoom lens with an Optical Image Stabilizer for up to 3.5* equivalent stops for shake correction. The lens’ ultra-quiet stepping motor and focus mechanism support the Canon Dual Pixel CMOS AF autofocus optional upgrade for the Cinema EOS C300 and EOS C100 cameras, providing smooth, continuous autofocusing during video shooting on upgraded models. Nikon is expected to announce the top-of-the-line D4s camera next week. 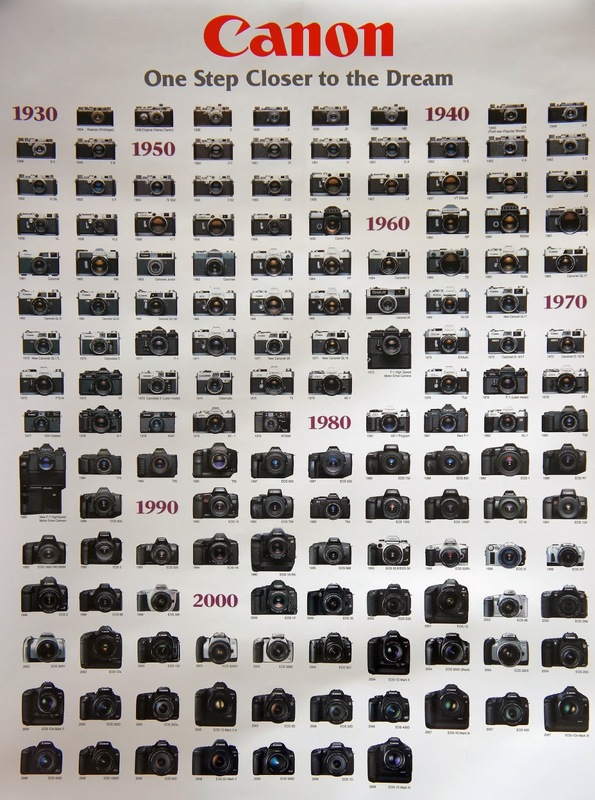 Perhaps to increase the excitement, they have released a high resolution poster of their cameras from the last six decades. For some unexplained reason, the cameras stopped at the year 2008. The D4s will go up against the highly acclaimed Canon EOS-1D X camera with its recent Firmware 2.0.3 update, released in January, in anticipation of the upcoming Nikon D4s camera debut. 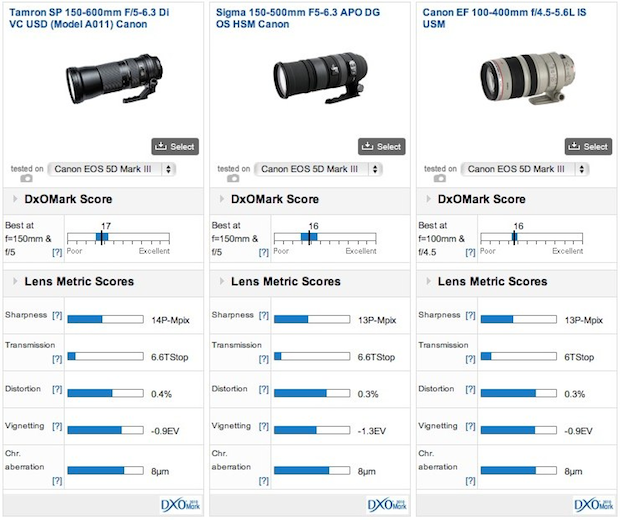 Third party lens makers are getting to be quite good and Sigma’s recent releases have garnered very good reviews. The Sigma 18-35mm f/1.8 Art and 35mm f/1.4 DG HSM are prime examples of their recent success. Little is known about the upcoming 50mm lens except it will be lighter than the Zeiss 50mm, perhaps in the neighborhood of about 800g / 28 oz. 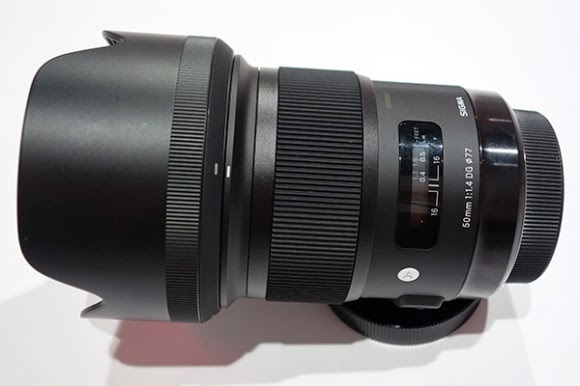 The suggested retail price for the Sigma 50mm f/1.4 Art lens may be well over $1,000. The 2014 Winter Olympics is coming to an end. My sources informed me they have seen the EOS-7D Mk II test cameras during the games. Canon has deployed many of their latest gear there for testing and demonstrations for their 'special' guests. All of the photographers testing the prototype equipment will be bound by Non Disclosure Agreements (NDA) and so far very few leaks are coming from the Olympics. 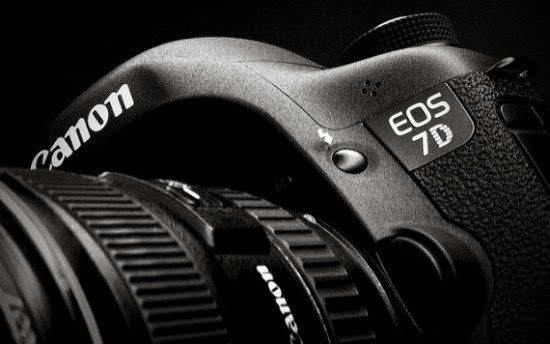 The EOS-7D Mk II is my most anticipated camera from Canon this year. With the retirement of the EOS-1D Mk IV, I am looking for a semi-pro body with the extra reach since I am not a big fan of extenders. The current 7D is an excellent piece of equipment and my pick, four years in a row as the best value in APS-C camera. 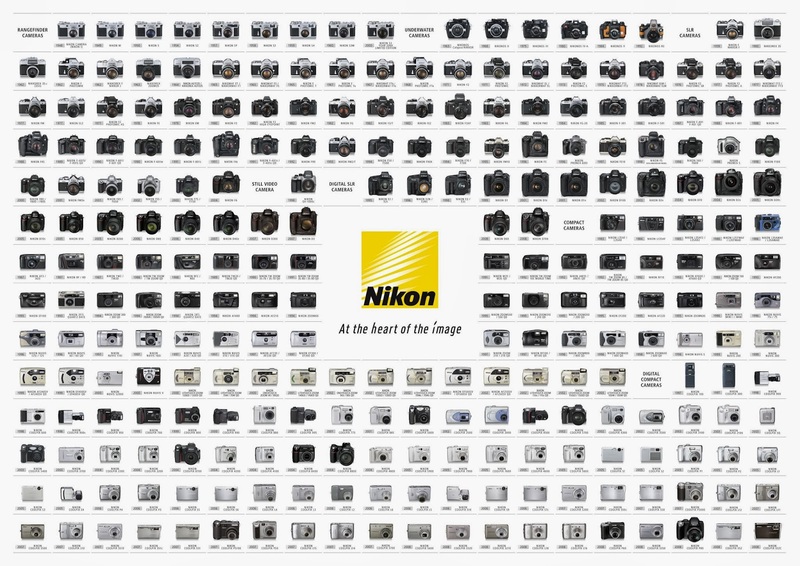 Nikon will be announcing their top-of-the-line D4s camera next week. 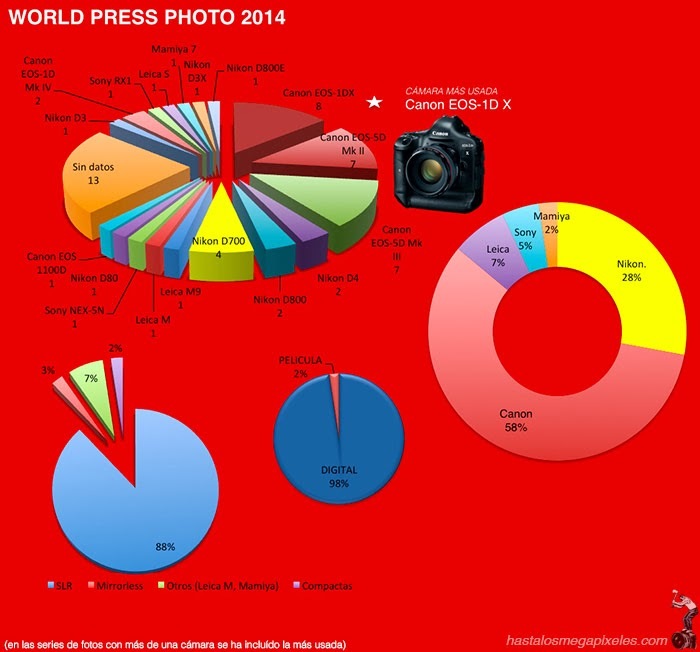 Canon may loathe to see them get all the limelight and dominate the photography news. There is a chance they may bring forward the release date of the EOS-7D Mk II camera to March, along with a few Pixma Pro printers. Canon may not even call the replacement camera, EOS-7D Mk II, but they will have enough prototypes out there during the Olympics games to help them gain all the insights from field testing. The features of the new camera will be firmed up very soon and the feedback from the Olympics are crucial in determining the final specifications. I am very fond of my EOS-7D camera and cannot wait to get the new model. With the EOS-1D Mk IV out of production, a semi-professional APS-C body is very appealing to me. Keep checking back for the latest information. A brand new photography show for enthusiast photographers is launching next month (from 1-4 March) at the National Exhibition Centre (NEC) in Birmingham, UK, and Canon will feature strongly both as an exhibitor, showcasing its superb range of imaging equipment, as well as fielding four members of its Ambassadors Programme as special guest speakers. Adobe’s Richard Curtis will be giving talks on its Lightroom 5 software and how it can improve your workflow. Giving talks throughout the duration of the show will be Canon Ambassador Jeff Ascough as well as Canon Explorers Danny Green, David Noton and Clive Booth. Adobe’s Richard Curtis (author of the recent CPN Lightroom 5 tutorials), National Geographic photojournalist Steve McCurry (Magnum Photos), fashion and celebrity photographer Rankin and legendary portrait photographer Terry O’Neill will also be there, where they will each give talks about their careers and showcase some stunning images. The Canon stand is located at Stand B10, within Halls 11 and 12 of the NEC. There you will have the opportunity to explore its full EOS DSLR product line-up, touch and try lenses at the elevated long lens bar, speak to Canon experts, who will be on hand to answer questions, and watch how Canon’s PIXMA printer demonstrations can enhance your imaging. Arising from the gap left by the Focus on Imaging trade show, The Photography Show aims to offer visitors a real opportunity to network, interact and try out the very latest in photographic technology. 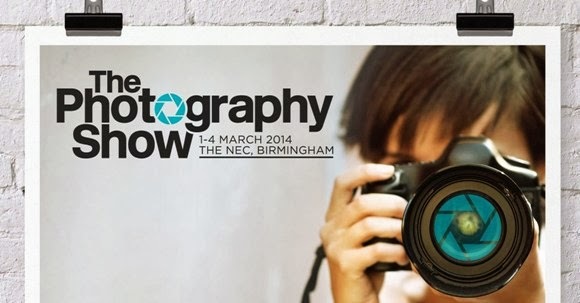 The Photography Show will bring the imaging industry to life for the UK’s growing audience of amateur photographers, with some of the biggest names in the industry unlocking the secrets of their craft. The show floor itself will be brimming with hundreds of exhibitors, the very latest kit and accessories, and an array of interactive opportunities to get involved in. A studio suite will also be created on-site for visitors to see demonstrations in a professional environment, and themed areas including the IGPOTY Flower Garden, specially created to ensure all subject interests are fully catered for. 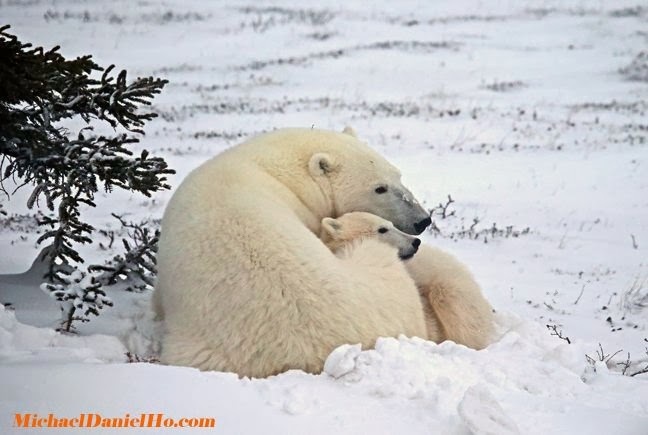 Photographing wildlife and people in snow is always a challenge. 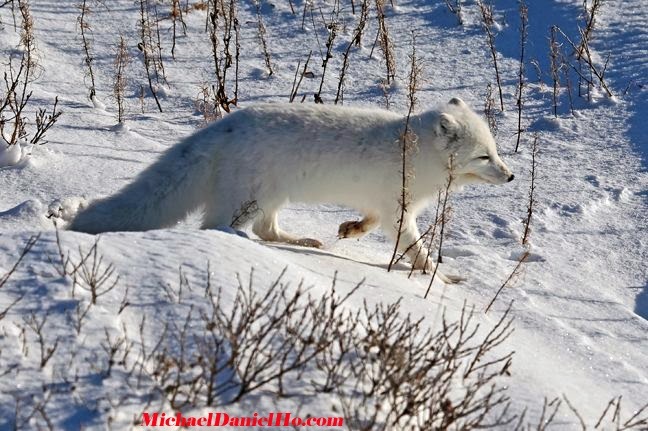 I was in Hudson Bay a few months ago on a shoot to photograph Arctic wildlife like Polar Bears and Arctic Foxes. You can visit my website MichaelDanielHo.com to see more shots from my trips in the Arctic and sub Arctic. "As photographers, our goal is to recreate the scene before us using both light and color. As advanced as digital cameras are these days, they don’t yet match the complexity of the human mind so we have to work with a few technical limitations when trying to record a scene as our eye sees it. Snow covered winter landscapes, in particular, can present some very specific challenges when it comes to getting accurate looking colors. If you’ve ever looked at one of your winter images and thought that things look a little blue, then you’ve discovered one of the challenges of photographing snow: getting the right white balance or color temperature. White balance is a fundamental camera setting that adjusts color rendition to give a neutral appearance, without any obvious overall color tints or shifts. Cameras come with several White Balance presets (Daylight, Tungsten, Flash, etc. ), but difficulties can arise when there are mixed light sources all adding their own color cast. In fact, it doesn’t even need to be a direct source either because all reflected light will have a color cast that’s dependent on the color of the object the light just bounced off of. If there are objects in your image (quite likely!) then you’ve got multiple color casts, in some way. White balance presets are a good starting point, but they aren’t always perfect – the preset “Sunlight,” for example, sounds as though it would be perfect on a sunny day and it’s been standardized to a temperature of 5500K. But the reality is that sunlight color temperature varies based on time of day, atmospheric conditions, your altitude and many other factors. For my typical sunny snow images, I can end up using a White Balance that’s anywhere between 5000K and 9000K during what I would call “daytime.” If I were to include sunrise and sunset shoots, we’d be stretching the range from about 3000K to well north of 12000K. If you used standard White Balance presets during the “Golden Hour” (the first and last hour of the day’s sunlight), you could end up neutralizing that beautiful light that photographers are always lusting after. Presets should be looked at as a good starting point and an excellent way to learn more about the behavior of different light sources, but they are rarely a perfect answer. Because most scenes contain a variety of color casts, there’s always going to be some compromise – that means that not all objects will be 100% accurate if we can only set a single temperature. Most of the time, in normal images, this compromise is imperceptible but the problem with winter images is that our brains know that snow it white! If you look at a snowy scene, it’s likely to contain a lot of shadows caused by mountains and trees, for example. The snow in direct sunlight has a color cast that is one temperature, but the shadow has a vastly different temperature because it’s made up entirely of light that’s been bounced off other surrounding objects, such as the sky or snow itself. The human mind is incredibly powerful and because it knows that snow is white, it corrects our own vision of the scene to compensate for this. To us, snow always looks white. In the camera, though, we can only set one White Balance. Which is it to be? If you set your camera to Auto White Balance (AWB), then you’re asking the camera to make that decision. In most cases, cameras these days have become good at measuring the variety of temperatures in a scene and creating an average. Every now and again when one cast is more predominant than the other, you’ll get the situation where your snowy images can look too blue. This will usually happen in a snowy image where there is a lot of shadow, but it can also look blue during daylight on a sunny day with blue skies when that color gets reflected in the snow. How do I solve it? Firstly, I always opt to shoot in RAW because it gives you the option to adjust the White Balance later in your chosen editing software. I try and get it right in-camera when I can, but sometimes rapidly changing light makes it impractical. For example, if I’m hanging out of the side of a helicopter following a skier down a steep line in Alaska, then it’s simply not possible to be simultaneously tweaking White Balance. Another example would be in an uncontrolled situation like a sporting event where there is rapidly changing weather, typically moving clouds. 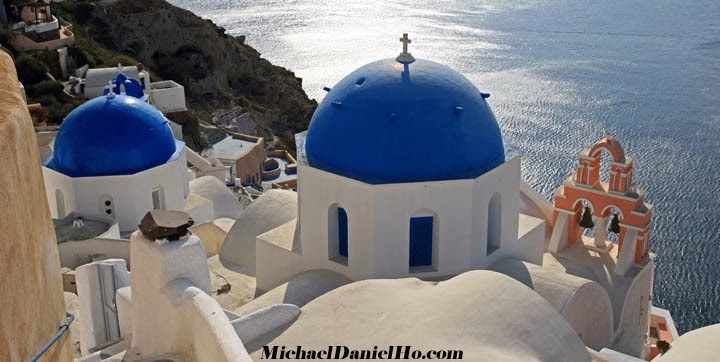 In these situations, I set the camera to Auto White Balance and I use the “Eyedropper” tool in software like Canon’s Digital Photo Professional or Adobe Lightroom. The “Eyedropper” tool measures the temperature of one point in the image and sets the White Balance to that setting. As we know, if there are shadows and sunlight areas in the image, then these will be different temperatures so I usually pick a spot representative of the predominant situation in the scene. If it’s mostly shady, I’ll pick that. If it’s mostly direct sunlight with the odd shadow, I’ll pick the snow that’s in the direct light as long as the subject of the image is also in that predominant sector. It’s important that your subject looks accurately colored. If the situation is much more controlled, like a commercial shoot where color accuracy of a product is of paramount importance, then I aim to get things right in-camera using a Custom White Balance. Readily available digital Gray Cards can be used for a test shot in your light and then set as the source of a Custom White Balance in-camera. Essentially, you’re telling the camera “this is a neutral color in this light.” Gray Cards, or other products such as the ExpoDisc, are relatively small and lightweight to carry around and can save you a lot of headaches. I’ll sometimes make use of a little product called the SpyderCube from Datacolor, as well. This is like a tiny gray card that you can include in a test shot so that you have an accurate neutral gray to use with the color picker later in your software. This works well for portraits in snow, but for action images, it’s not practical to always be in the spot where your athletes are about to be… I’m sure you can see why in some of these example photos! In the end, sometimes there are compromises to be made when setting White Balance, just as there are with exposure when you choose where to add detail to the shadows at the expense of clipping your highlights. The best way to deal with it is to understand how it all works and why the images can sometimes look too blue in these tricky winter landscapes. If you don’t want to go so far as to set Custom White Balances but would rather not spend time adjusting them on the computer, then try the presets for “Cloudy” (~6500K) and “Shade” (~7500K). Light in the shade is much bluer, so the preset warms it up. If your winter images are looking blue, then this can be a quick fix to the problem. But be wary of this if you have large patches of snow in direct sunlight, as this will render the brighter patches too warm." Canon Digital Learning Center presents wedding cinematographer, Joe Simon, as he shares his views and techniques for shooting a stylistic wedding video using Canon’s Cinema EOS and HDSLR cameras. Joe also discusses his experiences using the new Dual Pixel AF feature upgrade available for the EOS C100, and how it has improved his shots by opening up the potential for more dynamic camera movement and focus effects. 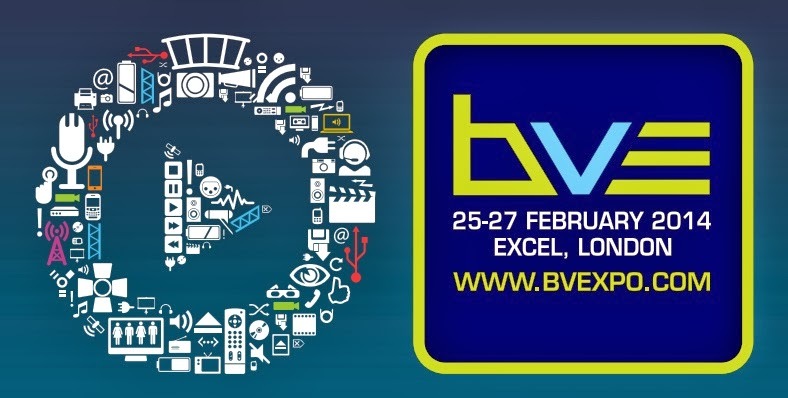 London UK, 20th February 2014 – Canon will be demonstrating its imaging solutions for the broadcast industry at BVE 2014. A full cine and broadcast camera range, shooting studio, DSLR bar and EF lens line up will be available at the event, allowing visitors to get a real hands-on experience (Stand G05). Canon’s shooting studio will feature a kitchen set up, with chefs baking and decorating cakes during six live sessions throughout the day. Nine cameras from the cine and broadcast range will be positioned around the action studio to demonstrate the camera capabilities in a broadcast environment. At the DSLR bar, visitors will be able to test shooting video using Canon’s range of DSLR cameras, which have already revolutionised the way that professional video is shot. A low light area will also feature on-stand to demonstrate how the EOS range performs when light levels fall. Canon’s EF lens line up will be available to enable visitors to experiment with Canon’s wide selection of studio, field and portable lenses. Visit Canon at BVE from 25th – 27th February 2014 at Stand G05 at ExCel London. Canon is hoping 2014 will be the year they come out of the funk and go back to its roots. Their stock price has dropped over 5% this year, adding to last year's lackluster result even as the benchmark Nikki average rallied over 50% last year, due mostly to the weak Yen. Today, Canon announced a multi-billion Yen stock buyback program. 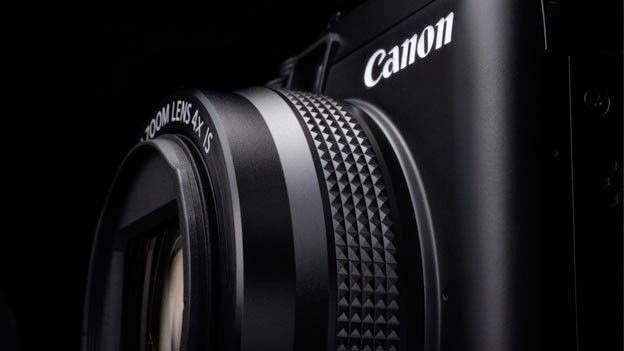 With their recently introduced PowerShot G1 X II camera, Canon released a detailed design brochure and appeared to have ruled out any retro-styled cameras. It emphasized features and functionalities, and will not follow the recent 'trend' of retro design movement from other camera manufacturers. The brochure is revealing and full of interesting information. It revealed Canon went to great length and experimented with many prototypes before coming out with the final design of the PowerShot G1X II. The new camera has twice the focusing speed and a minimum focusing distance of only 5cm, compared to 20cm on the previous model. "Currently there is a trend towards designing premium compact cameras like classic cameras. However, Canon has kept its distance from this trend. As a result, the design is not pretentious, and it also does not look like a so-called compact camera, and achieves a great balance between traditional and new."